Latinos are changing the talent, marketplace, and political landscape in the USA in unprecedented ways. They make up 17% of the country’s population, and that percentage will rise to one-third of the total U.S. population by 2050. Latinos have a purchasing power of approximately $1.6 trillion, growing at a rate of more than $100 million a year. This young and vibrant growing population with its rising per-capita incomes and aspirations for a strong future, now make it unacceptable that there are so few Latino executives and senior leaders. It’s what the authors Andrés T. Tapia and Dr. Robert Rodriguez call the Corporate 4% Shame, the number reflecting the percentage of Latino executives today. The low number of Latino executives is even more shocking given the huge profits companies are earning from the Latino consumer market. Auténtico: The Definitive Guide to Latino Career Success digs deep to understand why this is the case, and offers strategies for a better outcome as it makes it clear that companies across the USA who want to maintain a competitive edge need a full integration of Latinos into all levels of leadership. This book is a must read both for Latinx professionals seeking the secrets to successful careers and leadership advancement, and for corporations who understand that to advance Latino talent is to make their organizations stronger and more sustainable in an increasingly diverse world. The Latinx Institute is a collaboration between Andrés T. Tapia and Dr. Robert Rodriguez that seeks to capture, understand, and synthesize the realities of Latino professionals and leaders in the workplace. Their collaborations include joint public speaking, research, and writing. 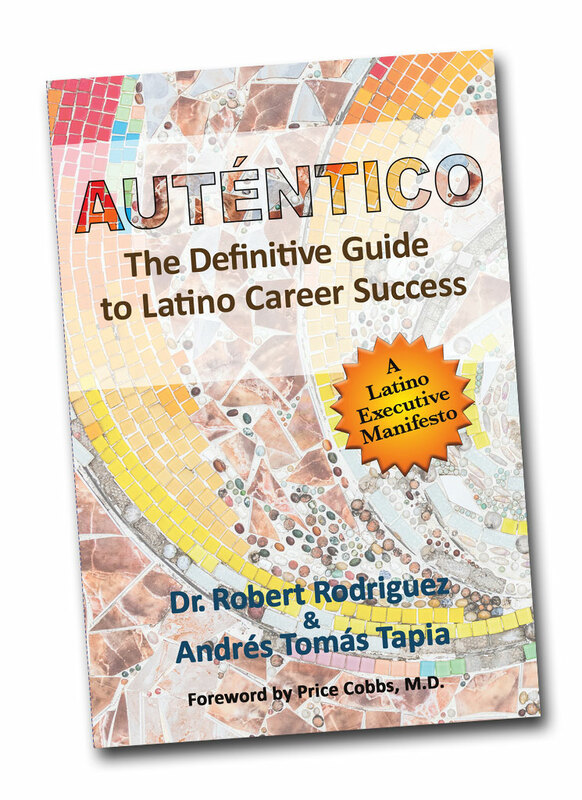 Auténtico: The Definitive Guide to Latino Career Success is the first book published by The Latinx Institute.